Fr. William Wagner, ORC:Mary is intimately connected to the mystery of salvation. 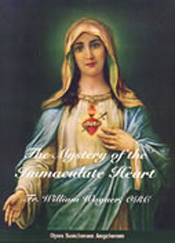 Created immaculate, her heart was the first to accept the will of God to the Incarnation. She opens our hearts as well to receive the wisdom and grace of God's merciful love.